Donghua provides the Food Production industry with a range of high quality Roller Chain which is compatible with all the leading manufacturers of food production machinery including: Rademaker, Raque, Meurer, Johnson, Ishida, Krones, Bradman Lane, Baker Perkins and many more. 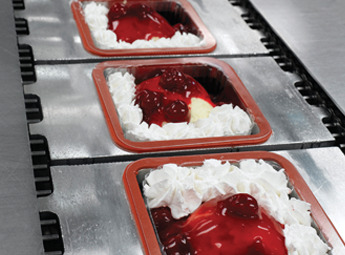 Download our Food Industry Chain leaflet. Special Alloy Coating - to protect against corrosion caused by aggressive washdown procedures. H1 Food Grade Lubrication - subject to application requirements, our chain is hot-dipped with a H1 grade lubricant in our UK workshop. Preloading & Matching of Chain - to help reduce fatigue and extend the wear life of chain. Donghua's Attachment Chain comes pre-loaded as standard, unlike attachment chain built by other manufacturers in the UK. Donghua's plastic Conveyor Chain is designed specifically to prevent the ingress of foreign matter and reduce maintenance costs and downtime. A 'one chain fits all' Attachment Chain which replaces 99 per cent of other manufacturers' chain. 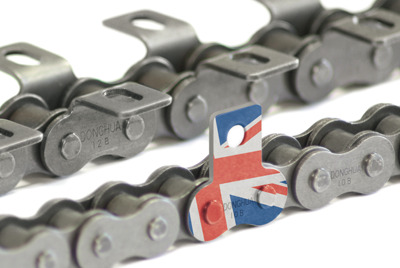 Built in the UK, our Attachment Chain comes pre-loaded as standard and can be supplied accurately matched & tagged for fitting in sequence on-site. Available in BS and AS with standard, nickel plated, zinc coated, self-lubricating and stainless steel finishes. Specially designed and built Attachment Chain to specific customer requirements. All Donghua products are manufactured in state of the art facilities with precision tooling, delivering tolerances to within 0.5DIN accuracy. Our headquarters boasts a 25,000 square foot warehouse, a technical workshop and a testing laboratory. We have a growing network of Approved Product Partners, Stockists and Distributors across the UK and Ireland. To find your nearest supplier of Donghua Chain visit our interactive Locate a Supplier Map. 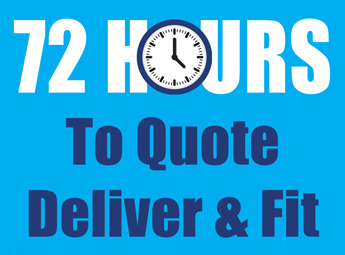 To discuss your Food Industry Chain requirements, call the Team on 01902 866 200 or email us.